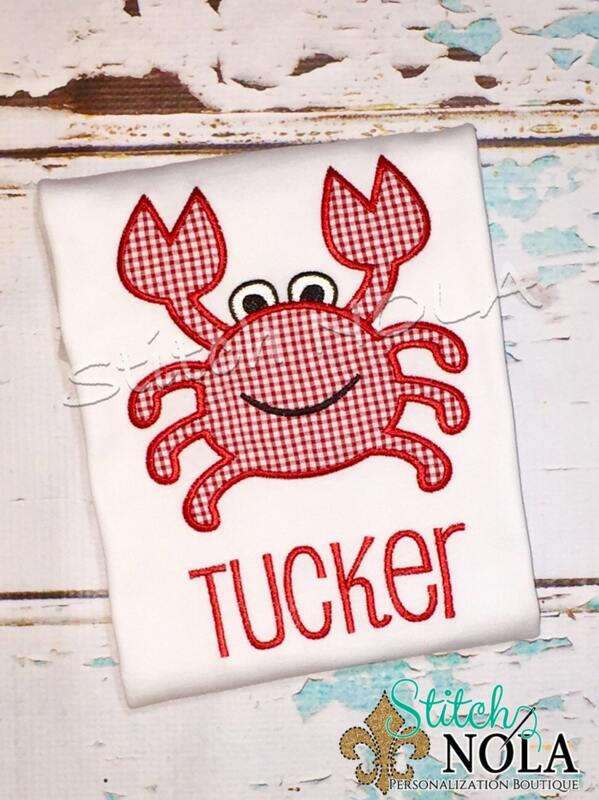 Crab applique shirt personalized with name in your choice of font and color! 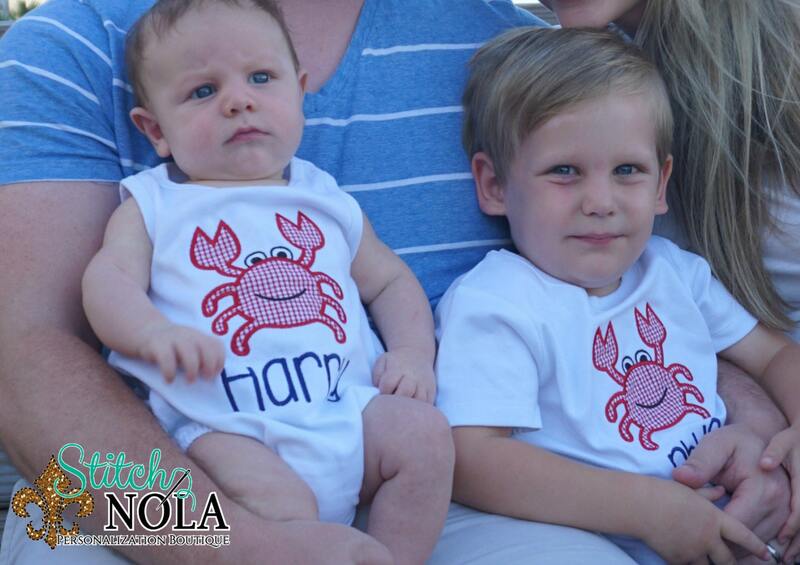 This is the perfect little summer tee taking you from the beach to 4th of July with ease! 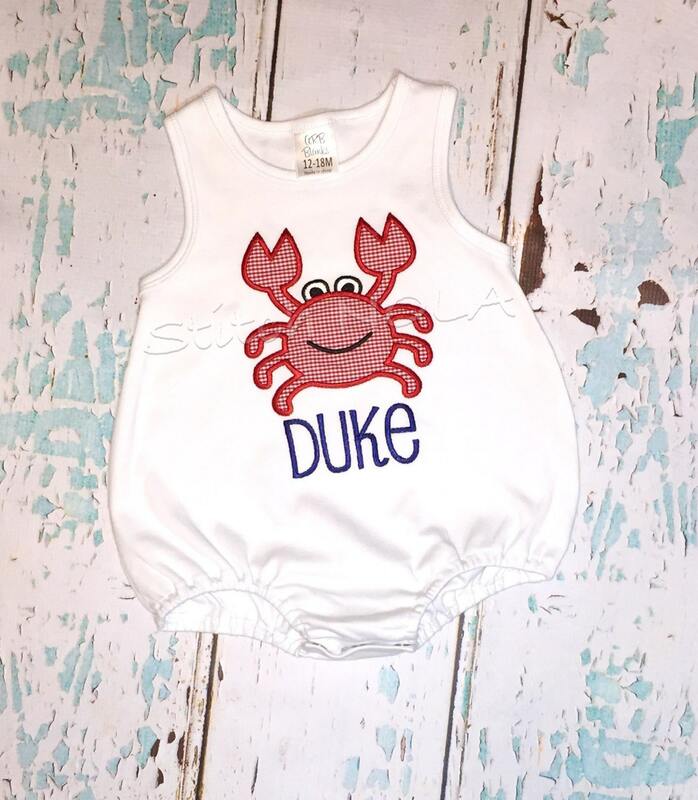 FONT and COLOR charts in photos.